It is the new year, and after a lovely holiday break from everything I’m back feeling refreshed and ready to write again. First task has been to keep chipping away at my “To Be Replied To” pile. It’s got a sizeable dent in it now, so I’m back on top of things there. 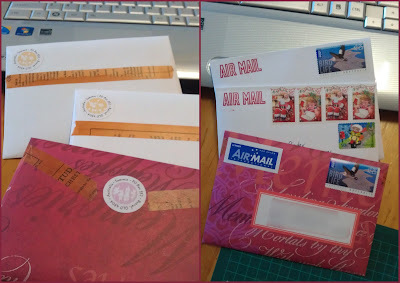 My Snail Mail Mojo has returned! Second task is to breathe some life back into this blog. What are your mail goals / resolutions for the new year? This entry was posted in Snail Mail by Sammie. Bookmark the permalink.